Here's a mildly interesting story discovered by one member of the CyanogenMod Reddit board. Apparently the state congress of Indiana uses a custom setup to allow its state senators and representatives to submit votes. 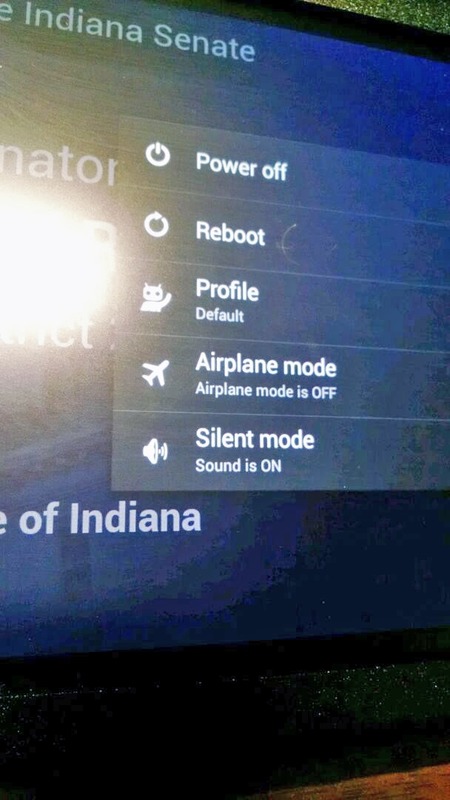 A Nexus 7 running the CyanogenMod custom ROM is permanently attached to each congressperson's desk, connected to the building's intranet system using a custom Ethernet adaptor (to avoid problems from an overcrowded Wi-Fi connection - there are 150 senators who vote at once), and hooked into SmartVote software from Propylon. A Reddit user claiming to be the Propylon engineer who designed the system responded to the Reddit thread, taking a little time to explain the basic structure. 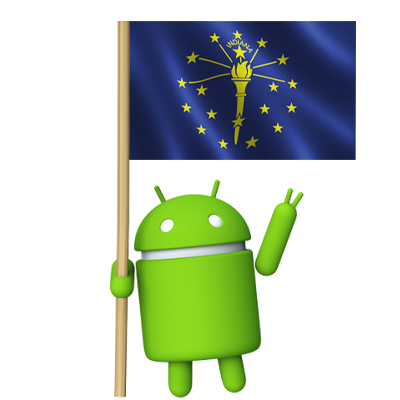 The central software, Nexus 7 terminal machines, and the installation are all a custom job, currently unique to the Indiana State Capitol building. 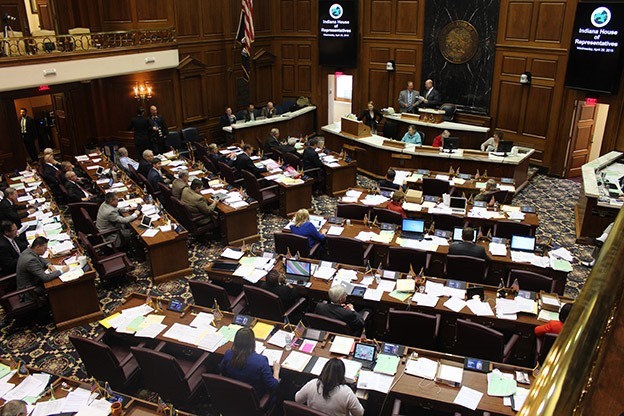 Unfortunately the Reddit thread only shows a close-up of one of the tablets and a bit of the metal frame, but in the photo below from IndianaPublicMedia.org, you can see what appear to be small tablets at each desk in the state House of Representatives. The photo is from a story dated April 29th. 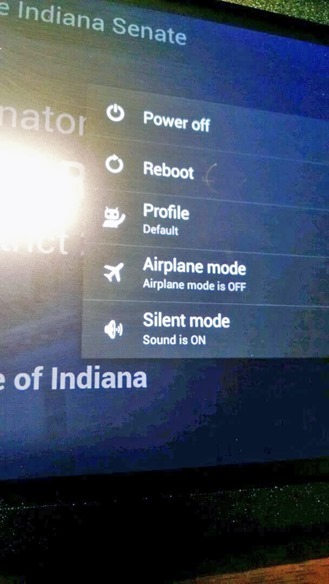 I'm guessing the setup was chosen because a Nexus 7 is just about the cheapest thing you can buy that will work as a reliable terminal computer, and CyanogenMod allows for an easily-maintained platform with root permissions and little to no custom software development. In the words of Bender Bending Rodriguez, "Neat." Sam Hollis, the Redditor who took the original photo in the Indiana capitol, has sent us as clearer photo of the senators' desks with the permanent Nexus 7 installations. 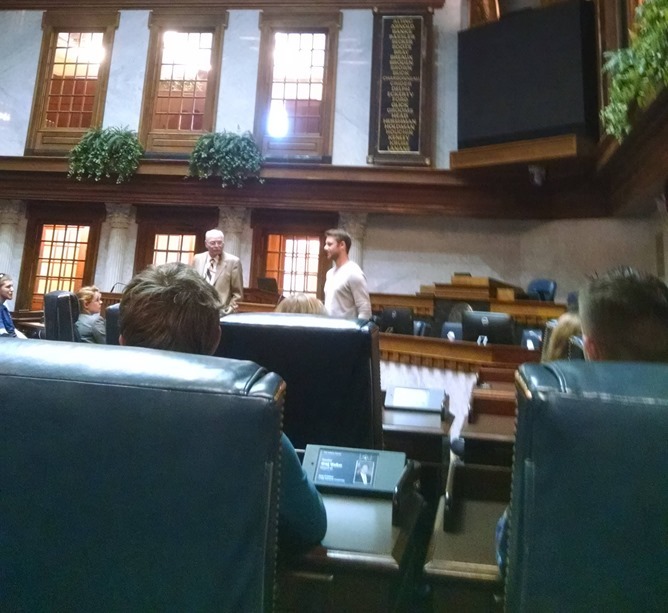 Also, Indiana state senators have really nice chairs.